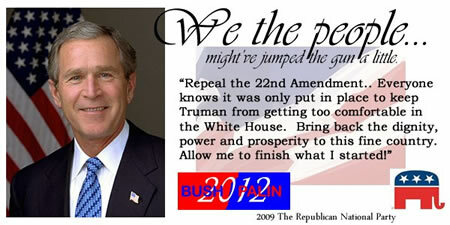 Bring Back George W. Bush. Restore our self respect and prosperity. Only YOU can make it happen! You are currently browsing the The Ambienista blog archives for October, 2009.